High Quality Content by WIKIPEDIA articles! High Quality Content by WIKIPEDIA articles! 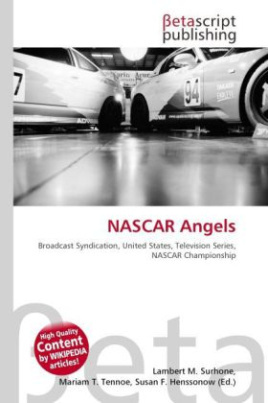 NASCAR Angels is an American syndicated half-hour television series which airs in various markets on the weekends. It is hosted by Shannon Wiseman and former NASCAR Cup Series Champion Rusty Wallace. The purpose for the show is to help those who help others by repairing their worn out vehicles with a small twist: the NASCAR Angels Dream Team only has three days to get the vehicle repaired. The show has been described as "Extreme Makeover: Home Edition meets Pimp My Ride - NASCAR Style". Partnering with the show are Goodyear and Gemini Auto Repair Service.